Match it with a luxurious grenadine tie and a navy suit jacket for a confident, elegant business look. 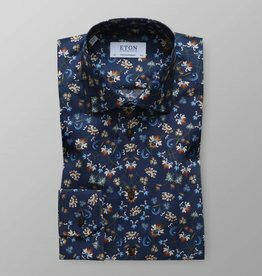 One on this season's must haves – the floral motif is printed on a navy ground on fine twill fabric that lets you stay sharp all day. The timeless colour palette makes it easy to match with any outfit.